and posted in Manchester in 1912 to Miss Dora Rogers, Wootton Villa, Eccleshall, Staffordshire. The Congregational Church, now the United Reformed Church, stands on the corner of Alderley Road and Chapel Lane in Wilmslow. For our first meeting of 2015, we welcomed back Gwyneth Mitchell to talk about estate owners and their families. Unfortunately Gwyneth was feeling rather ‘under the weather’ but still managed to give us an interesting insight into the lives of the landed gentry in the 1700s-1800s. We learned that the country house was the powerbase of the nation’s ruling class until about the 1880s. The family who owned the estate had an effect on the local people even if they didn’t live or work on the estate, as these were usually the men who became the local MP, the judiciary, the clergy, set up the local militia or became officers in the forces. The first son of the family was usually the heir to the country estate by a process known as entailment: his life was mapped out for him from birth and his education was completely geared towards the day when he would become the estate owner. The whole estate, including all the employees and villagers, would often participate in a huge celebration when the heir came of age, as that meant the estate would pass on to the next generation as a whole and their future lives were secure. Gwyneth explained how the young men in the family were educated: first at home, then at a boarding school, where they were often treated harshly, with cold baths, cross-country running in the rain, one meal per day with remaining meals to be obtained out of their own allowance. This was intended to give the boys self-sufficiency and strength of character. She went on to tell us about the ‘grand tour’ which many young men, and later young women, undertook in order to further their education. These tours through France, Italy and other European countries often lasted for a number of years and cost several thousand pounds. The papers of many local families, such as the Stanleys of Alderley, include many diaries and letters which give us a good picture of life in the 1800s – 1900s, with eyewitness accounts of events including the workers riots of August 1842, military exercises, elections and society weddings. Letters written by the Stanleys in the 1800s were published in the 1930s, edited by Nancy Mitford, and can be found on the Ancestry website. 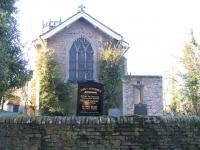 The Annual General Meeting of the Macclesfield Group was held on Wednesday 24 September 2014, at St John's Church Macclesfield. Click here to download the Minutes of the Meeting. From January 2015, meetings will be held on the 4th Tuesday of the month at the Salvation Army Hall, Roe Street, Macclesfield, SK11 6XD - park in Churchill Way car park (free in the evening) and enter the building through the new main door on Wellington Street. Meeting admission charge will be £2 per person including refreshments. Computer Group meetings will no longer be held, but computer-related topics will be incorporated into main group meetings. lived or died during the Great War and ensure they are not forgotten. WWI displays and providing a research helpdesk at some events. 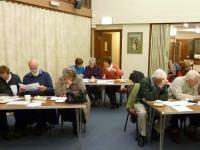 The Annual General Meeting of the Macclesfield Group was held on Wednesday 25 September 2013, at St John's Church Macclesfield. Maintain Macclesfield Group membership lists, send welcome letters to new members. Pack and post orders for Group Publications. Oversee all Macclesfield Group projects. Prepare project descriptions. Volunteer to be confirmed when Projects are identified. Respond to help request letters/emails. Ask Group members for help. Maintain a list of useful contacts.